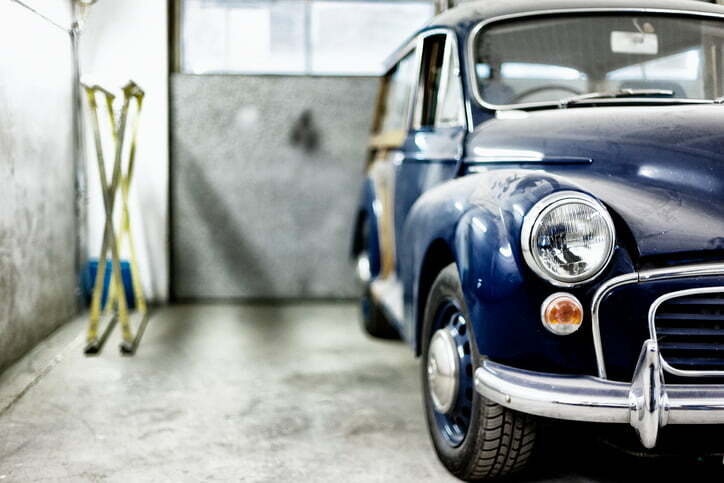 Taking care of a classic car isn’t the same as looking after a new one. Due to the age and condition of different components, old cars need lots of love and care to preserve their vintage appeal and avoid the corrosion of their original parts. But, as every classic car owner knows, maintaining them is all part of the joy of owning one. 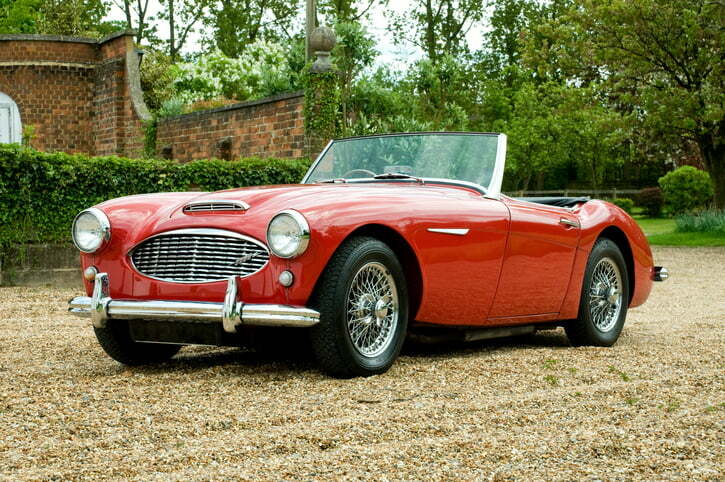 Throughout the winter months, many owners ‘hibernate’ their classics to protect them from the elements. This is recommended for most old cars, as wet wintry roads are a big no-no. But, while it’s a good idea to store your car long-term through the winter, it’s important to continue maintaining it to ensure it is fit and ready for the spring and summer season. 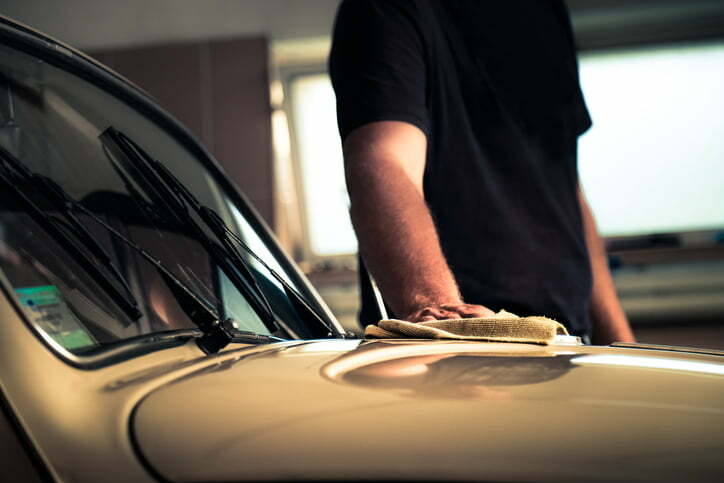 If you’re new to classic car ownership, getting to grips with the upkeep and maintenance required to protect your car is one of the biggest challenges you face. So, to help out, we’ve put together a guide on how to look after a classic car, with a focus on maintaining your classic through the winter and getting it ready for spring. In the guide, we offer practical advice on storing your car to limit corrosion, as well as maintenance tips that will prevent long-term storage impacting on its performance. 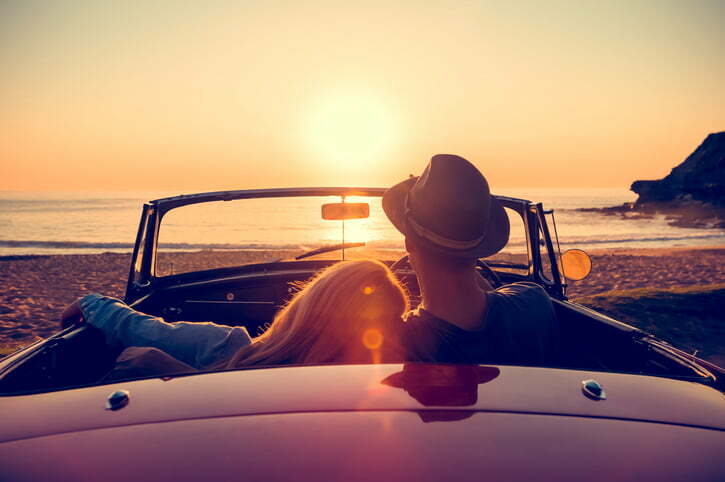 We’ve even enlisted the help of an expert, Claus Stig Christensen, CEO of classic car rental portal, BookAclassic, so you can learn how the pros take care of their classics. Use the links below to navigate or read on for the complete guide. Maintaining a classic car in its original condition is a fine art that requires a lot of time and know-how. However, if you’re willing to put the work in, it’s a rewarding and satisfying process – particularly when it’s time to get the car out for a spin at the start of spring. 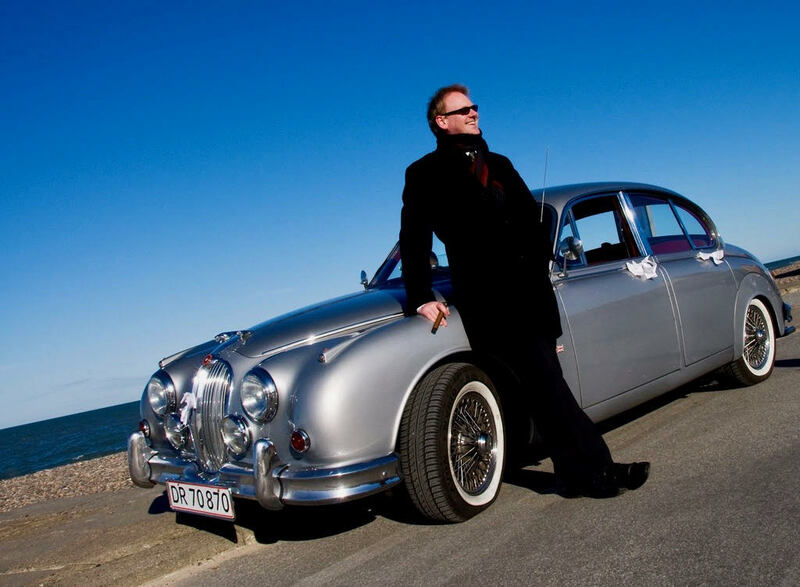 Classic car expert Claus Stig Christensen privately owns several classics, including a 1950s Jaguar MKII (pictured), which requires regular maintenance to retain its original style, condition and performance. “My Jaguar MKII is kept in a heated garage and I fire it up once a month or so to make sure the engine is running, then I do drive it a bit back and forth to make sure the tyres don’t deform from sitting in one spot for too long. If there’s a fantastic winter day when the sun is out, I do take it for a spin, but the salt they put on the road for the snow here in Denmark is something we do not want on our classic cars. “If I know there’s salt on the roads during my drive, I take the garden hose and wash in the wheel arches, the lower parts of the car and also underneath, as far in as I can do. I’m careful only to take the Jaguar out when most of the salt on the streets has been washed away by rain. 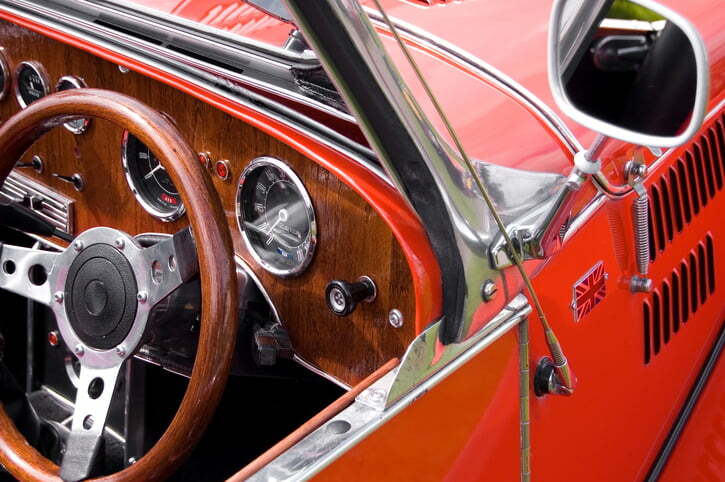 Any classic car owner will tell you that storage is one of the most important factors in maintaining an old car, helping to prevent corrosion and protect it from the worst of the elements. However, there’s more to storing a classic than simply parking it in your garage. Here are some helpful tips on how to safely store a classic car on a long-term basis. Park in a Damp-Free Garage – Storing your car in a garage to protect it from the elements is all well and good, but only if the space is free from damp. Any humidity and moisture in the storage area could lead to corrosion, as well as mould inside the cabin, so we’d recommend using a heater or dehumidifier to make sure the space is dry when storing your car for extended periods. Open the Windows to Help Air Circulate – The last thing you want when you take your car out for a spin is a musty smell in the cabin, so keep the front windows ajar slightly to let the air circulate and prevent odours. Make Sure the Paintwork is Shaded from Direct Sunlight – If your storage area has windows or a skylight, you’ll need to cover the car to protect it from direct sunlight, as this could gradually fade the paintwork. There are lots of car covers on the market, but we’d recommend one that’s breathable and lined for maximum protection. Leave the Handbrake Off – Handbrake cables have a tendency to seize on older cars, so leave it off and chock the wheels instead. Turn the Tyres Regularly – Tyres can develop flat spots or warp when the car is parked in the same place for a long time, so you should make sure they’re turned regularly – even if it just means reversing it out of the garage and back in every couple of weeks. If you’re planning to store the car for over a month without driving it, we’d recommend removing the wheels and storing these horizontally somewhere dry, with the car raised on to jack stands. Check the Fluids – Stay on top of your car’s service schedule by regularly checking the engine fluids, including engine oil and coolant/antifreeze. Coolant is particularly important, as this will prevent the engine from freezing in very cold temperatures. Store with a Full Fuel Tank – When a car isn’t driven for a while, condensation can form in the fuel tank, causing mould and other problems. To limit the amount of condensation, fill it full of fuel before storing and make sure it’s kept topped up after every outing. Disconnect the Battery – If you aren’t planning on driving the car for over a month, disconnect the battery to help it stay charged. Remove or Lift the Wipers – Windscreen wipers can collect moisture and freeze onto the glass, potentially causing damage. Lift them to an upright position or remove them altogether when storing your car long-term. Treat Rust Spots and Corrosion with Lubricant – Applying lubricant, such as WD40, to spots of corrosion before storing the car will prevent the spread of rust and decay. As the warmer weather approaches, it’s time to prepare your car for a new season of driving. We’d recommend getting any maintenance tasks out the way before temperatures start to rise, so you can get out and enjoy the best of the dry weather. Here are some of the things you should do to prepare your car for spring and summer driving, particularly after a long period of winter storage. Wax It – Before you head out, make sure the car is cleaned, polished and waxed, so the paintwork is fully protected from the elements. For a classic car, we’d recommend reapplying wax every few months to guarantee complete protection from grime, dirt and weather. (Obviously we recommend Simoniz Original Wax, which is a hard wax so lasts for up to 6 months). Service It – From tyre pressures to brake pads, you should give the car a thorough service before spring arrives, so you can rest assured that everything is good to go in time for your first drive out. Keep it Clean – After every drive, we’d recommend hosing down the undercarriage of the car, where salt and road dirt can cause corrosion of untreated metal surfaces. Recharge the Battery – Old car batteries may lose power in cold weather or when they haven’t been used regularly. Using a 12V battery charger, charge the battery manually before spring so you can avoid any non-starting problems. The Simoniz car care range can help you take care of your car inside and out, no matter what its age. To browse our product range, visit the homepage today.